The technology is new and exciting, but more so in the point of view of suppliers and innovators. These suppliers are still experimenting with the technology. It is worthy to note that 3D printing a part is not cheap and, in many cases, conventional means of manufacturing are still cheaper. Hence, many customers are still unconvinced by the use of AM, with the mindset of “Why fix something when it’s not broken?”. This closed thinking has hindered the development of new technologies such as AM. The AM industry in Singapore is still at its infancy stage and has not reached its full potential. There are many companies with varying levels of experience, hence AM is still a long way from being the dominating and preferred method of manufacturing. 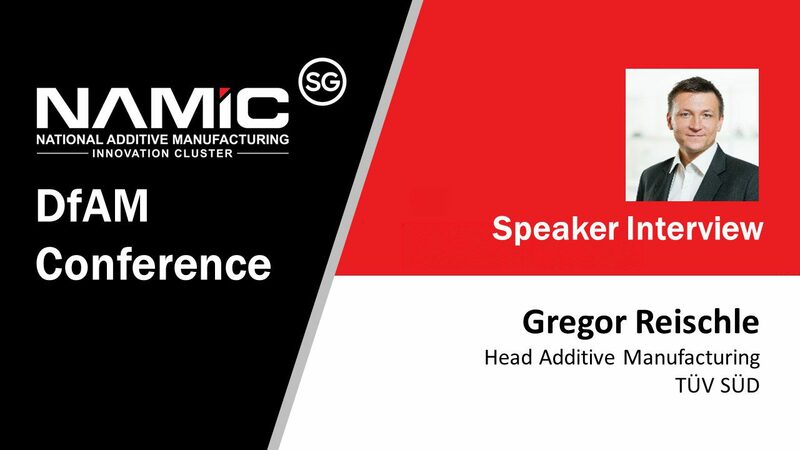 However, Singapore is leading in AM development in the Southeast Asia region and is one of the leading countries among US, Germany, Japan to have a structured approach to scale up additive manufacturing. According to a report by A.T. Kearney Analysis; Singapore is defined as one of the leading countries spearheading the development of the 3D printing industry and has a strong base of macroeconomic factors that makes it well positioned to be competitive. With institutions like NAMIC forging a path for AM development, we can foresee strong growth in the AM industry. Singapore’s Research, Innovation and Enterprise (RIE) 2020 has given a clear roadmap for the Advanced Manufacturing and Engineering domain, in which AM is one of the cross-industry enablers. Additive manufacturing has the potential to raise manufacturing contribution to Singapore’s GDP. Due to Singapore highly qualified labour force and IP protection laws; AM can place Singapore as the hub for high value design and development have production transferred to the end location where the product is being consumed. In mission critical applications and highly niche products, AM provides manufacturers the opportunity to reduce waste, shipping costs and time to market of their products; while addressing consumer demand for highly customised products faster. This is where TÜV SÜD comes in – we work alongside clients and regulators, ensure trust in technology and products during uncertainty. There are no real uses of AM parts in Singapore yet. Mostly, 3D parts are produced for research purposes under the wings of NAMIC. It is under development to ensure that AM parts create value in the future. The marine and aerospace industries in Singapore are actively exploring AM and we foresee AM making an impact on other industries soon. All it takes is one successful case of the use of AM in any industry to build trust and reduce scepticism in the method. During my master’s year at university, I undertook an Advanced Manufacturing course and one of the elements of that course was Additive Manufacturing, which explains my fascination towards this technology. It is new, innovative and has great potential in replacing traditional, subtractive manufacturing methods which we are all familiar with. In terms of business, it has allowed me to build rapport with various industry experts. I believe someday, once the properties of the material and end-product are fully maximised, it is an alternative for small scale productions eg. when only a one-off part is needed; or for the manufacturing of complicated shapes, which can only be produced using Additive Manufacturing. This presents a business case for consumers in the market for creative and innovative freedom, while saving costs. Additionally, when critical parts are manufactured, where safety is integral to these parts, TÜV SÜD can come in and certify these production lines or the products themselves. YLE Engineers have successfully built a 3D printed bridge in Gdansk, Poland. They began by using software to design and 3D print various prototypes of the bridge. This was followed up a simulation on real life conditions. Any mistakes discovered were rectified prior to the building of the actual bridge. One thing to note is that the site of this bridge consisted of rough terrains which proved that it was difficult for construction to be carried out via traditional means. Hence, the bridge was built at a different site and then placed on the actual site with careful precision. The bridge stood at an impressive 125 meters in length and weighed 2,000 tonnes which is indeed an amazing feat in engineering history. (Source: https://zmorph3d.com/use-cases/3d-printed-bridge).